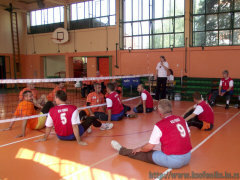 Serbian Championship, SSIS... Hm, it would seem that the current situation with the sitting volleyball in Serbia is similar as in world boxing or karate, where there are versions of, name it, A and B. 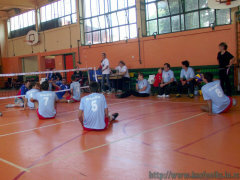 A) In the season of 2008/09., when the competition was first held won the first place (follow: 2008 and 2009; unfortunately, we have no reports and photos from Zrenjanin and Kikinda). Then we called this Championship "unofficial", just because there were no medals and cups distributed in the end, but the glory and pride to those of our first steps remained. Thus, KSO Feniks is defending the title, we won three years ago. After that one there was no another organized. 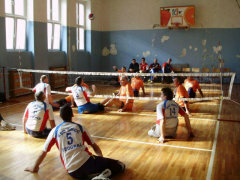 B) However, the Union of Serbian Sitting Volleyball for Disabled (SSOIS) organized the first Serbian Championship in 2008. where our newly formed club was not involved, but in 2010. we technically organized and participated in the 2nd Serbian Championship under the auspices of SSOIS (follow the report). To cut a long story short - then, due to the lack of Propositions for competition, we stated without deserved coin. But it was a completely different & bitter story, which, by the way and with all due respect, is not for your ears! 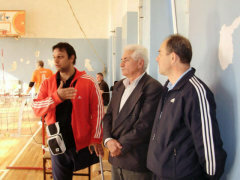 Therefore this Serbian championship can be called "the first true one"! 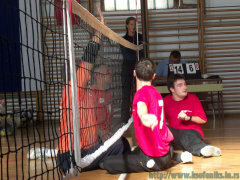 The ratio of non-disabled and disabled people in the field and on the bench is defined, too. 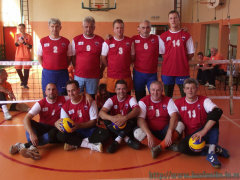 Thus, the essential things have finally met, and it would seem that sitting volleyball in Serbia is becoming organized and moving forward. 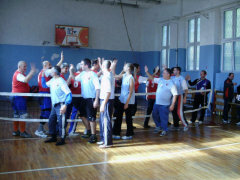 We hope that this will become a tradition and championship will be held every year, with more teams of participants. 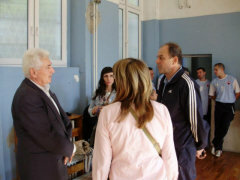 Location: Kikinda, elementary school "Jovan Popovic"
Feniks is the favorite, and on the paper and objectively speaking, the principal opponent is Belgrade team. 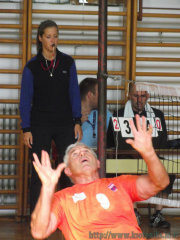 But they had poor progress in the previous period, in addition to Feniks has a longer bench. 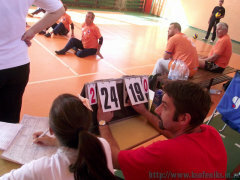 The first games in Kikinda have already shown it. 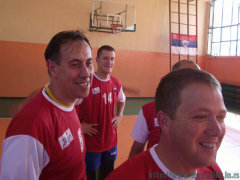 Both teams played this and the next tournament without one member of Serbian national team, which is preparing for the European Championship in October. 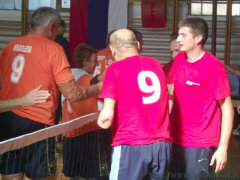 Location: Kragujevac, from "Milutin and Draginja Todorović "
Safe play without any problems and we managed to solve both games to their advantage. 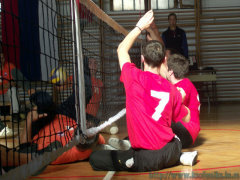 Such a situation brought the opportunity for all players from the bench to test their knowledge in these games. 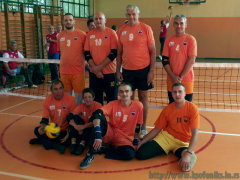 Pleasant surprise of the tournament is a newly formed team KSO "Kragujevčani" who managed to overcome the KSO "Smeč" and to arrange shorter and more comfortable socializing after the tournament. Pleasant surprises: Milošev, who returned to the team, and a great refreshment Anđelko Budinčić, our new member, who easily fit into the team. 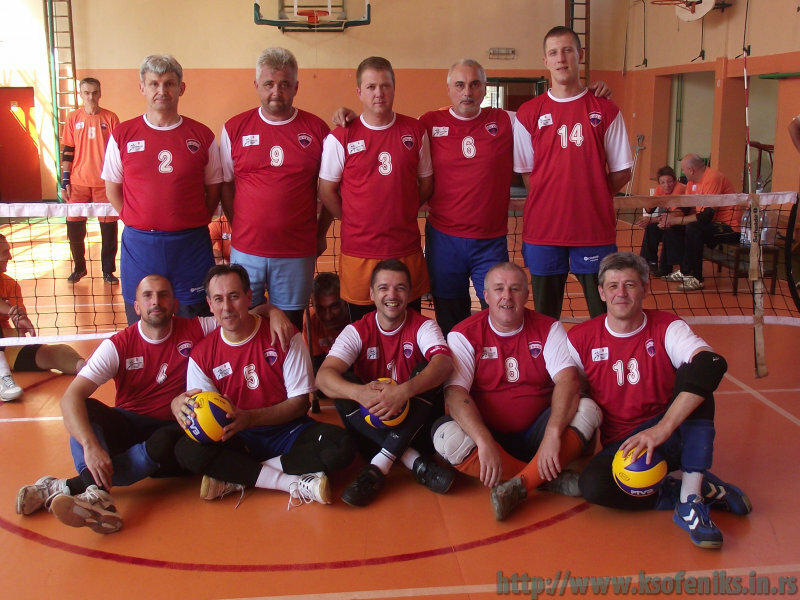 City: Beograd, Voždovac, "8th belgrade gymnasium"
Unquestionable leader Feniks played the only one, routine match against Subotica. Without false modesty, it was just a nice opportunity to be exercising some new ideas for the future tactical skirmishes. 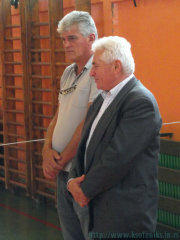 In a standard composition of the team was missing Đuričin. 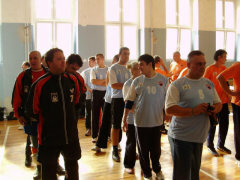 With this tournament Serbian Championships competition is completed for the fall and tournaments will continue in Backa Palanka and Subotica in the spring of the 2012th. Something about this competition can be found on the site of SSIS.